SOLID AGENCY-After taking on 24 shows in 30 days dancehall's longest lasting group T.O.K is ready to shared the unforgettable experiences of their "Our World" European Tour which started back in early February. The group which last year dominated the reggae circuit in Japan with two #1 singles "Champion" and "Guardian Angel" once again proved their international appeal when they took Europe by storm following the August 25th release of their "Our World" album project for VP Records. According to group member "Craigy T" the tour of Europe was an overwhelming success complete with satisfying memories of waving fans and sold out club venues. "On February 5th we commenced the tour with a show in Malmo Sweden and from there it was off to Nantes France and then Paris a day later. We had back to back shows in different cities so we were always on the move. Everywhere we went it was just pure love from the fans. Touring is like a musical boot camp, it keeps you focus cause all you do is shows and when you not doing performances your rehearsing or creating new music". During mid February T.O.K made their way across to Amsterdam in the Netherlands and shortly after visited cities in Switzerland, Austria, Germany, Russia and Italy before returning to Sweden for the final two shows in Vasteras and Stockhoim. "The first time we ever went to Sweden was in 2002 and we performed in Stockhoim so being back there was a great experience, the venue is quite historic and with a sold out show we had the crowd in a frenzy for over a hour. Russia was also memorable for us cause it was like -17 degrees over there and people still came out to see T.O.K perform" stated group member "Bay C". While in Italy T.O.K reunited with Italian Reggae group Sud Sound System who they collaborated with on a song during their last trip to the country. With the link reignited they shot a video for the single "Keep On Moving" a song which is expected to be the 1st single from Sud Sound System album dropping this summer. Despite returning home in early March the group never got a chance to report the details of their tour due to other engagement stated Craigy T. " Well we returned to Jamaica on March 7th but was off to the US Virgin islands two days after for a Spring Break show and then when we got back home we had another show at the Jungle Night Club in Negril so we never got a chance to share the details of the tour with the media until now". 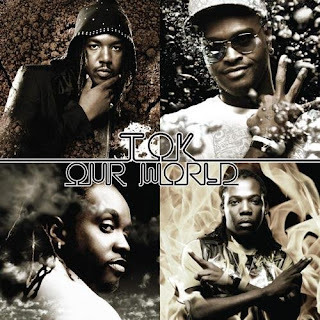 With a host of new singles including "Real Hot Gyal", "Good Like Gold", "Say A Prayer" and a pair of new videos in "Everyday We Try" and Misunderstood on the "Old School Medley" shot by Wayne Benjamin T.O.K is ready to make their mark in 2010.